Elizabeth Davis was born about 1806 in Bryan County, Georgia and died about 1885 in an unknown place. Dates for birth and death are estimated. She lived to be about 79 years old. 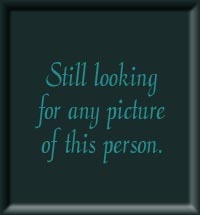 household # 76 - Wm T. Devaughn (age 35), Elizabeth Devaughn (35) & Jacob Rynear (58) Jacob is a catol. Lt. Bt., he was born in VA; William is a laborer, he was born in Washington, DC. William DeVanngh (age 57), Elizabeth (54), Masgareen Grady (15), Frances Smith (10) & Simion Stewart (10). William is a farmer, he was born in VA. all others born in GA, except Frances in FL. The box for (white, black or mulatto) a "x" is in the box for William and Simon, a "check" is in the box for Elizabeth and Masgareen. Click on any of the News, Events, or Discoveries buttons above to see historical things that happened during Elizabeth Davis's life. These are only some of the major events that affected the life and times of Elizabeth, her family, and friends. For example, Elizabeth is 5 years old when By 1811 the new "Federal Road" (which started as a horse path) is filled with a steady flow of white settlers into Creek Indian Territories. The Spanish begin to fan hostile sentiments among the Indians. 1 1807 December 10 - Jasper, Jones, Laurens, Morgan, Putnam, and Telfair Counties formed. 2 1808 Pulaski County created. 3 1809 Twiggs County formed. 5 1811 Tecumseh visits the Creek Indians living in what will become Georgia and Alabama to try to persuade them to join his fight against the flood of white settlers. Some towns join forces with Tecumseh and become known as "Red Sticks". 5 1811 Madison County created. 6 1812 The Creek tribes in southern Alabama and Georgia find themselves under increasing pressure from white settlers. Led by Chief Weatherford, they accepted an alliance with Tecumseh and are nicknamed "Red Sticks". 6 1812 Emanual County formed. 7 1813 During 1813-14, Muskogee-speaking Creeks leave GA and move into areas in Northern FL in response to the Creek Civil War (also known as the Red-sticks War). 11 1817 First Seminole war begins as Georgia backwoodsmen attack Indians just north of the Florida border. !817-1818. General Andrew Jackson invades the area. 13 1819 Rabun County formed. 14 1820 December 20 - Campbell and Randolph Counties formed. 15 1821 May 15 - Dooly, Fayette, Henry, Houston, Monroe and Newton Counties formed. 16 1822 December 9 - Bibb, Dekalb and Pike Counties formed. 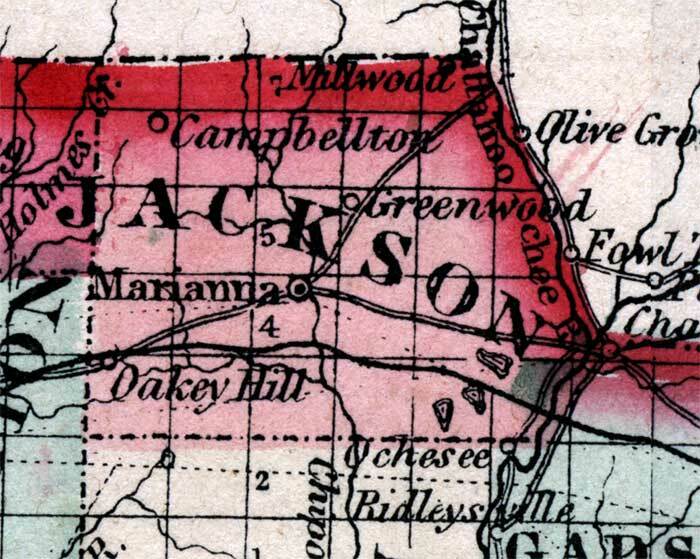 17 1823 December 8 - Decatur County formed. 18 1824 December 15 - Upson and Ware Counties formed. 19 1825 Baker, Lowndes, Thomas, Butts and Taliaferro Counties formed. 20 1826 January 24 - Treaty of Washington abrogates Treaty of Indian Springs. The Creeks cede a smaller area and are allowed to remain on their lands until January 1, 1826. 21 1827 December 14, - Harris, Marion, Meriwether and Talbot. 24 1830 Cherokee, Heard, and Stewrt Counties are formed. 25 1831 Sumter County is formed. 26 1832 December 3 - Bartow, Cobb, Crawford, Floyd, Forsyth, Gilmer, Lumpkin, Murray, Paulding, and Union Counties formed. 27 1833 Walker County is formed. 30 1836 Seminoles massacre Major Francis L. Dade and his 103 man command. This starts the second Seminole War. February - Battle of Hitchity. March 27 - Colonel J.W. Fannin and his Georgian's executed by order of Santa Ana at Goliad on Palm Sunday. July - Battle of Brushy Creek. July 3 - Battle of Chickasawachee Swamp. July 27 - Battle of Echowanochaway Creek. 31 1837 Mcon and Dade Counties are formed. 44 1850 Gordon and Clinch Counties are formed. 45 1851 Clay, Howell, Polk, Spalding, and Whitfield Counties are formed. 46 1852 Taylor County formed. 47 1853 Catoosa, Pickens, Hart, Dougherty, Webster, Flton, and Worth Counties aare creaated. 48 1854 Fannin, Coffee, Chattahooche, Charlton, and Calhoun Counties formed. 50 1856 Haralson, Terrell, Berrien, Colquit, Miller, and Towns Counties formed. 51 1857 Dawson, Milton, Pierce, Glascock, Mitchell, Schley, White, and Wilcox Counties formed. 52 1858 Clayton, Quitman, Banks, Brooks, Johnson, and Echols Counties formed. 64 1870 Douglas, McDuffie, Rockdale, and Dodge Counties formed. 69 1875 Oconee County formed.